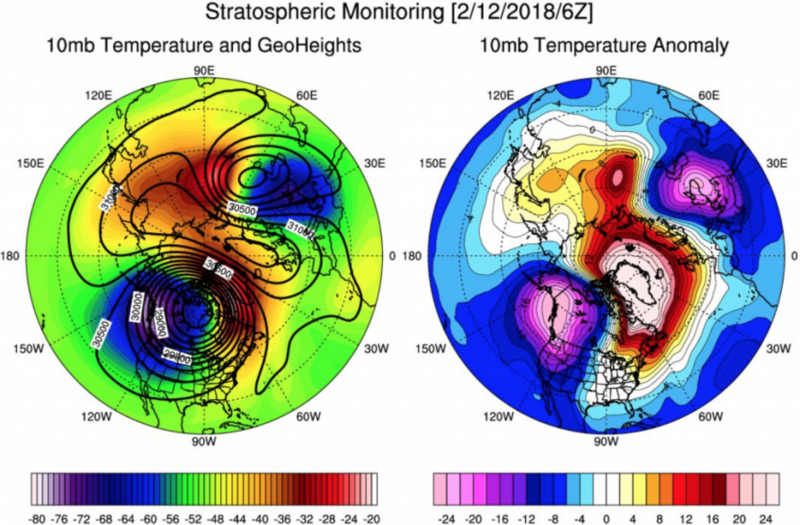 “This split of the polar vortex will shift the upper atmospheric pattern such that the coldest airmass is located in western North America as well as over parts of Europe. 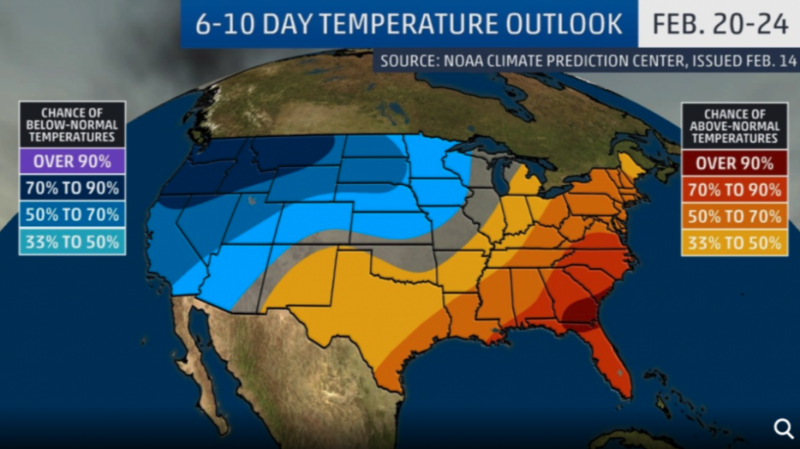 This will allow for a ridge of high pressure to amplify in the eastern US, bringing unseasonably warm conditions next week,” said Ed Vallee, Long-Range Meteorologist and President of Vallee Wx Consulting. 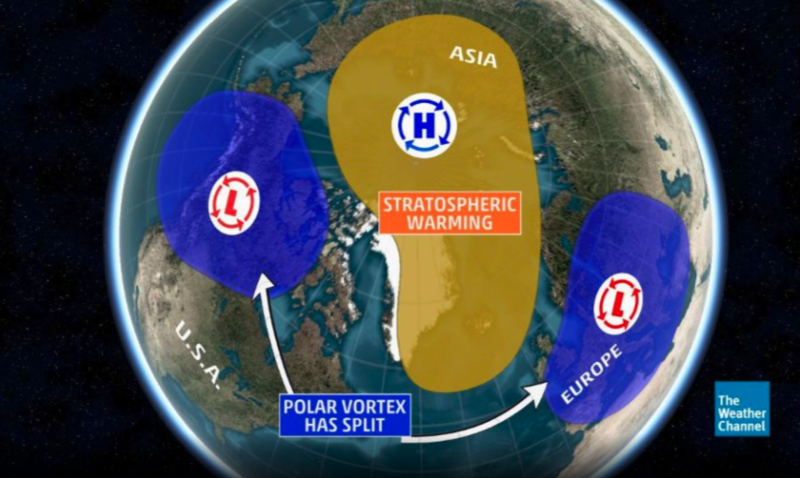 The Weather Channel describes the atmosphetic impact for the Northern Hemisphere, as this unique weather event splits the polar vortex into two smaller vortices: one over western Canada and another over Europe. 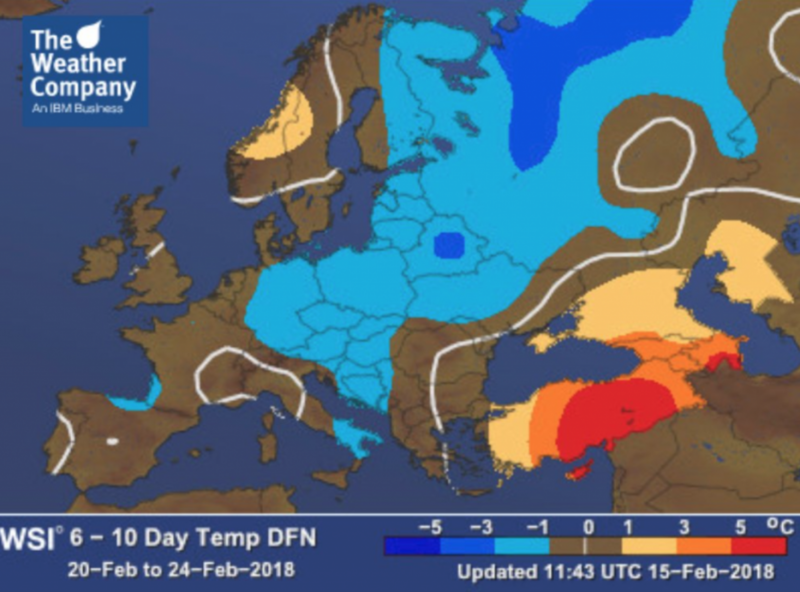 The one vortex over Western Europe and much of Eurasia will send the region into a dangerous deep freeze for the second half of February into early March. A disruption of the polar vortex has sent March 18 U.K. natural gas contracts soaring on the session, advancing +3.6% to 51.540. During the same timeframe, the vortex over western Canada could bring spring-like conditions for the Eastern U.S. in the second half of February through early March. Temperatures for the next few weeks could be 20 to 25 degrees Fahrenheit above average for this time of year. Highs in the 70s Fahrenheit are possible from Washington, D.C. to New York City, which would be a significant change from the arctic conditions experienced earlier in the winter season. In the Western U.S, it is an entirely different story, particularly in the Northern Rockies, which could see measurable snowfall and frigid arctic air for the next two weeks. A disruption of the polar vortex has sent US March 18 natural gas contracts crashing -22% in February to December 2017 lows. 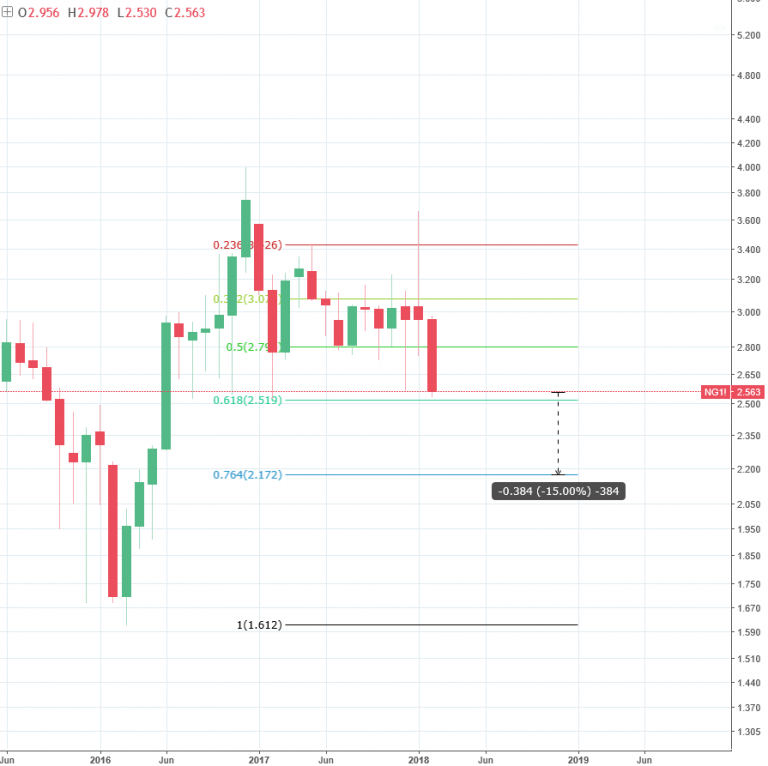 A breach below 2.50 would indicate a deeper correction, as much as -15% to 2.172 area where the .764-fib resides (measured from the March 2016 low to December 2016 high). “Models are indicating very impressive early Spring warmth across the eastern U.S. next week… the West/Rockies will have some cold air to deal with, however,” said Michael Ventrice, a Meteorological Scientist for the Weather Company. What’s all this talk about a Sudden Stratospheric Warming (SSW)? “Someone once asked why they call them “sudden” stratospheric warmings,” said Anthony Masiello, a private weather forecaster.